The United States has halted all funding to a UN agency that helps Palestinian refugees, in a move likely to further heighten tensions between the Palestinians and the Trump administration. “Such a punishment will not succeed to change the fact that the United States no longer has a role in the region and that it is not a part of the solution,” Abbas spokesman Nabil Abu Rdainah said. He said “neither the United States nor else will be able to dissolve” UNRWA. UNRWA says it provides services to about 5 million Palestinian refugees in Jordan, Lebanon, Syria and the West Bank and Gaza. Most are descendants of people who fled Palestine in the 1948 war that led to the creation of the state of Israel. But under Mr Trump, Washington has taken a number of actions that have alienated the Palestinians, including the recognition of Jerusalem as Israel’s capital. That move — a reversal of longtime US policy — led Palestinian leadership to boycott Washington’s peace efforts. The United States paid out $75 million (US$60 million) to UNRWA in January but withheld another $82 million ($US65 million) pending a review. Stephane Dujarric, spokesman for the UN Secretary General, said he regrets the decision of the United States, who he said had traditionally been the largest single contributor to the UNRWA. He praised the work of those at the UNRWA and called on other nations to help fill the funding gap left by the US. 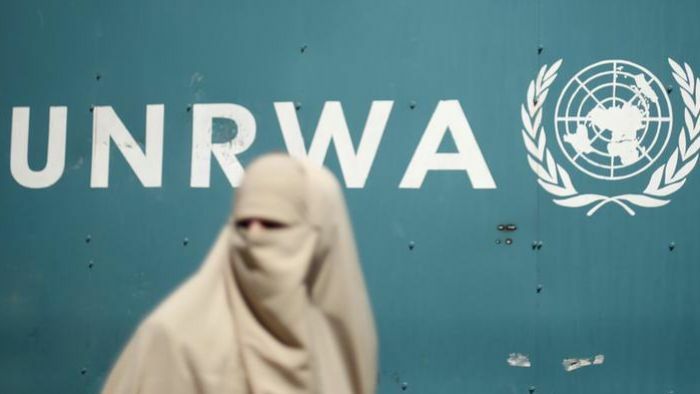 “UNRWA has a strong record of providing high-quality education, health and other essential services, often in extremely difficult circumstances, to Palestine refugees who are in great need,” Mr Dujarric said in a statement. Earlier on Friday, German Foreign Minister Heiko Maas said Germany would increase its contributions to UNRWA because the funding crisis was fuelling uncertainty. “The loss of this organisation could unleash an uncontrollable chain reaction,” Mr Maas said.